A Rhino Steel Bollard, the RB101 Bollard provides robust security to any environment. 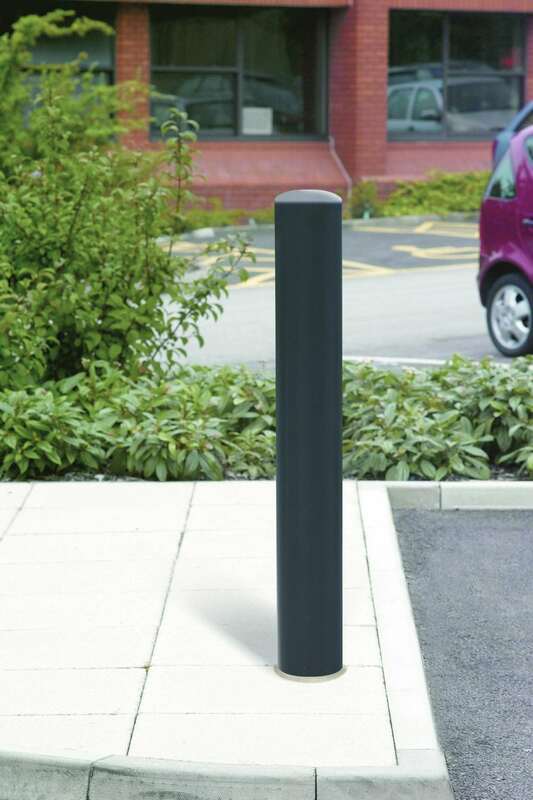 An exceptionally strong, hot dip galvanised bollard, the standard model has increased internal strength, with an option to add a steel joist to enhance its durability. This makes the RB101 ideal for deterring ram raids and preventing vehicles from passing the protected perimeter. 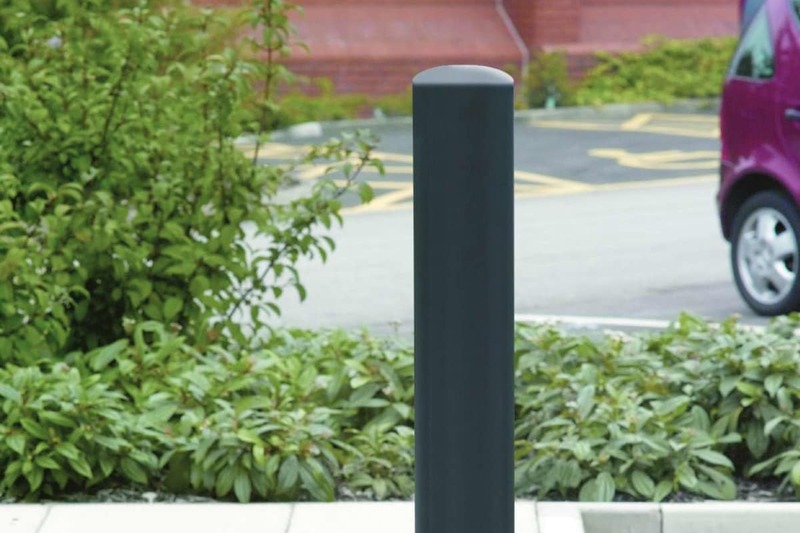 As well as the standard root fixing, two other fixing types are offered; base plate or lift out and lockable.One of the most popular bollards in the Marshalls range, the RB101 Bollard is available in a wide range of customisation options. The standard finish is polyester power coated in RAL black 9005, but almost any RAL colour or British Standard colour can be requested. All Rhino Bollards are available with Class 2 reflective hazard banding, in red, amber or white, to increase visibility and safety. 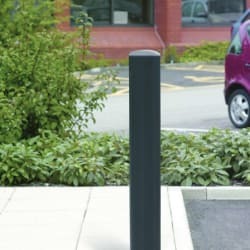 The bollard features an optional chain connector, and has 3 height above ground options available – 1200mm, 1000mm and 900mm.